Obesity with insulin-resistant diabetes and increased cancer risk is a global problem. We consider the alterations of metabolism attendant on the underlying pathogenic overnutrition and the role of the growth hormone (GH)–IGF-1 axis in this interaction. Obesity-induced insulin resistance is a determinant of diabetes. Excess glucose, and an elevated concentration of insulin acting through its own receptors along with complex interactions with the IGF-1 system, will add extra fuel and fuel signalling for malignant growth and induce anti-apoptotic activities, permitting proliferation of forbidden clones. 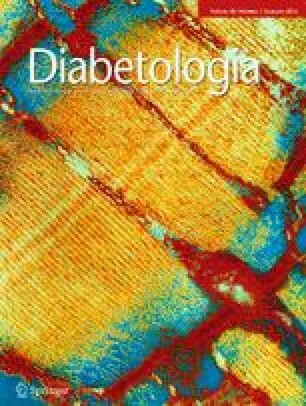 In Ecuador there are ~100 living adults with lifelong IGF-1 deficiency caused by a GH receptor (GHR) mutation who, despite a high percentage of body fat, have markedly increased insulin sensitivity compared with age- and BMI-matched control relatives, and no instances of diabetes, which is present in 6% of unaffected relatives. Only 1 of 20 deceased individuals with GHR deficiency died of cancer vs 20% of ~1,500 relatives. Fewer DNA breaks and increased apoptosis occurred in cell cultures exposed to oxidant agents following addition of serum from GHR-deficient individuals vs serum from control relatives. These changes were reversible by adding IGF-1 to the serum from the GHR-deficient individuals. The reduction in central regulators of pro-ageing signalling thus appears to be the result of an absence of GHR function. The complex inter-relationship of obesity, diabetes and cancer risk is related to excess insulin and fuel supply, in the presence of heightened anti-apoptosis and uninhibited DNA damage when GHR function is normal. JG-A provided the initial draft, which was edited and finalised by both authors.